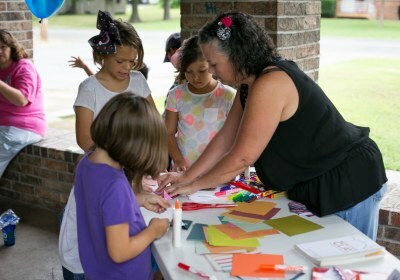 This summer KLRC went on the road with Family Fun Fridays! Each Friday we went to a different park in our community over the lunch hour for some fun activities with listeners. We had games (with prizes! ), balloons, crafts, and a Family Fun Basket filled with prizes listeners could register to win each week. 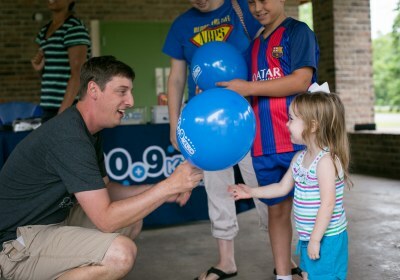 During the 2 hour live broadcast each week we got to meet lots of families, hand out bumper stickers, capture great pictures and audio, and even got to meet families who weren’t familiar with the station. 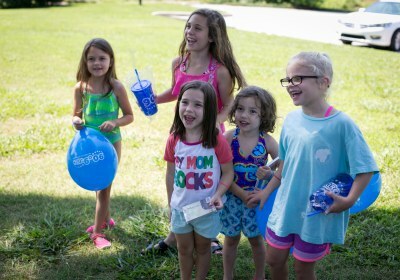 We partnered with local businesses to provide some of the kids activities at the park, and the local museum and movie theatre and mini golf donated prizes for games.